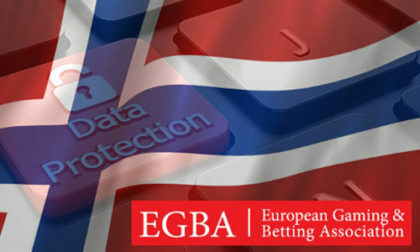 The Brussels- and London-based European Gaming and Betting Association [EGBA] has filed a complaint with Norway’s Data Protection Inspectorate [DPI] over the blocking of seven Norway-based banking accounts alleged to be connected to the processing of online gambling-related deposits and withdrawals. The issue, according to the EGBA, is it belief that the Norwegian Gaming Authority [NGA] illegally accessed Norway’s centralized banking database, in alleged violation of the country’s consumer-protection laws. One of the seven blocked accounts is associated with online-gambling operator and EGBA member Betclic Everest Group, thus bringing the EGBA into the mix. The EGBA complaint illustrates a classic “Catch-22” conflict inherent in Norway’s current gambling laws. As with many other countries, Norwegian law includes an official ban on payment processing related to “unlicensed” operators (meaning those that aren’t licensed specifically in Norway, as opposed to being fully licensed in other European and global jurisdictions). Those laws are designed to protect Norway’s official state-run gambling services, Norsk Tipping and Norsk Rikstoto. However, while the payments themselves are technically in violation of Norwegian law, the NGA isn’t supposed to have ready access to that banking information. It’s also worth noting that Norway’s licensing regime is exactly the type of scheme that ran afoul of European Union trade pacts before the European Commission threw up its hands in surrender and walked away from the topic, so many European countries ignoring EU law on international gambling matters. That’s now led to the seven accounts being blocked in Norway, and, in turn, to the EGBA’s filing of the complaint. The seven accounts belong to five prominent e-wallet services available to Norwegians — Worldpay, Earth Port, Trustly, Inpay and Entercash – and to two third-party operators, Stay Cool and Mangas Gaming. Mangas works with and on behalf of Betclic Everest Group, an EGBA member… hence the impetus for the filing. Other EGBA member firms include Bet365, Bet-at-Home.com, Betsson, Expekt, GVC Holdings, Kindred Group and Zeal. Added Haijer, “The underlying issue is that the current Norwegian online gambling law does not fit with today’s digital reality. Rather than focusing on keeping the Monopoly model in place with increasingly repressive but ineffective enforcement measures, the regulation should focus on the actual needs of Norwegian consumers and provide a safe and competitive offer which enables consumers to play online in a secure and highly regulated environment based on Norwegian law,” Haijer added.